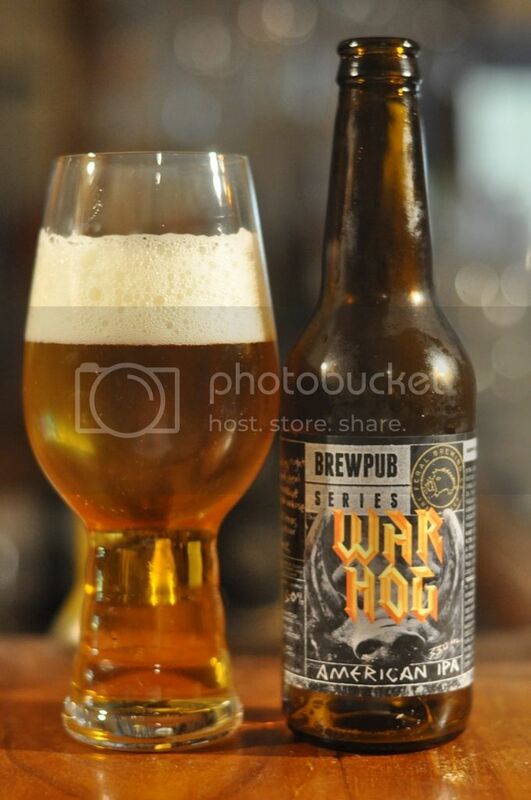 Tonight I'm reviewing one of the most anticipated Australian beers of the year; Feral's War Hog. It's a re-brand and slight re-jig of their fantastic tap only release Feral Cat IPA, a beer I loved the few times it made it over to Melbourne! At 8% I'd have it in the Imperial IPA category despite Feral just classing it as an American IPA. In any case, it's a beer that I've been looking forward to since I heard about it's impending release. It's been described as Hop Hog on steroids, so we better get into the review for you. First impressions are great! The beer pours a wonderfully clear deep golden colour with a fluffy, yet strangely still solid head of white foam. The head retention was quite good with a full finger still left after 5 or so minutes and a film lasting throughout the duration of drinking (which admittedly wasn't that long...). There was only some light lacing on the glass, but that isn't unusual with these Spiegelau glasses. Where War Hog really shines is the nose, which is quite simply wondrous! It's packed full of citrus and tropical fruit flavours, with passionfruit and grapefruit the most prevalent on the nose. There's nice hints of pine resin as well and seems to be well balanced by the malt base, which is giving off very little sweetness. It smells like my kind of IPA! As the nose indicated this is a particularly juicy tasting IPA. It's full of citrus and fruit flavours, with citrus, pineapple, peach and passionfruit all being clearly distinguishable. The pine becomes more prominent as the beer warms. Towards the backend it's a little spicy. The malt base is perfect for this type of IPA, with very little flavour counteracting the hops, whilst doing enough to balance the beer and not let the IBU's tear your tongue up. 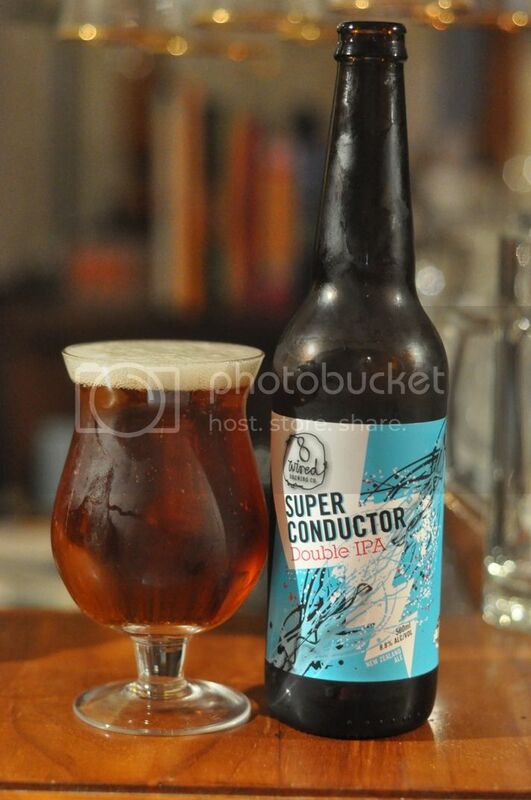 This is a dangerously drinkable IPA for 8%, you'd have no idea if you didn't read the bottle! It's taken me the best part of a month, and a significant chunk of Melbourne's War Hog stocks, to finish this review. Subsequently these could be a little hard to find around town at the moment... Never fear though, there are rumours going around that this is going to become part of the Feral core range/at least be released semi-regularly. I would go as far to say that this is a better beer than Feral's bi-yearly Tusk release, making it Australia's best IPA! If you see it, but it! Even if just to on sell it to me!